Laptop Thoughts: When is an iPad not an iPad? When is an iPad not an iPad? "The iPad, without doubt, energized a genre by pretty much redefining it. Of course, that energy is boosted by competition and nowhere is this stronger than the small army of Android-powered tablets that are now available for the seasonal shopper." 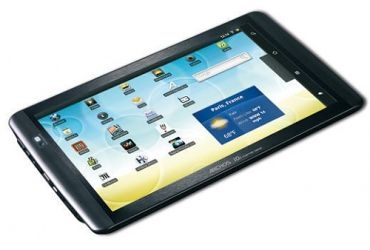 If anyone mentions the word tablet these days, most people will immediately think iPad. Slate tablets have definitely been around a long time, but the recent generation of tablets are unlike anything we have seen. While the iPad continues to dominate, there are many competitors which might be worth your consideration. Based on the reviews and comments from Daniweb, there seems to be many limitations to the current crop of Android tablets, and it may be best to wait for them to start supporting to newer Android OS versions which are much more tablet friendly. These tablets also seem to be lacking support for the Android Market, which pretty much means that that lovely tablet you just bought is likely to offer very little in terms of what you can do with it. If you must go Android though, the Froyo tablets are your best bet as they will give you as close to a full Internet experience as can be had. Otherwise, look towards the Fruit for your tablet needs.